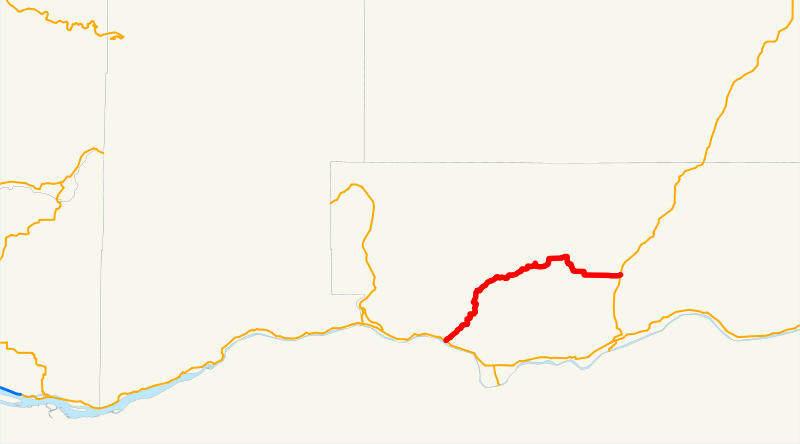 On Sunday, September 4, 2011, I drove the length of Washington State Route 142 up the Klickitat River, past the town of Klickitat, to the seat of Klickitat County. Hooray for Klickitat! Just west of Lyle at the mouth of the Klickitat River into the Columbia, SR 142 joins SR 14. We then proceed up the canyon, bending this way and that with every twist of the river. The water level seems still fairly high for this time of year, and people are taking advantage of it. The river is chock full of rafters and innertubers, kayakers etc. playing in the water. 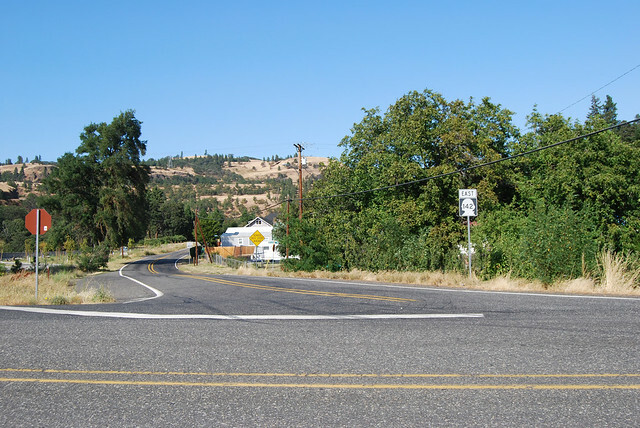 Soon after the town of Klickitat, we reach the halfway point of Highway 142, about 17.5 miles in. 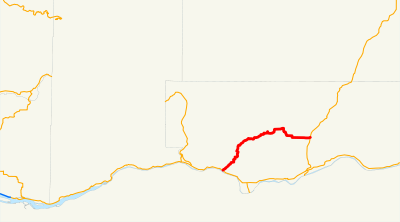 Soon thereafter, Highway 142 leaves the Klickitat River and heads up the hill. There's a 3.5-mile oddity along this stretch, where the roadway is so narrow that the DOT couldn't fit two full lanes. There's no shoulders and no yellow stripe down the middle. 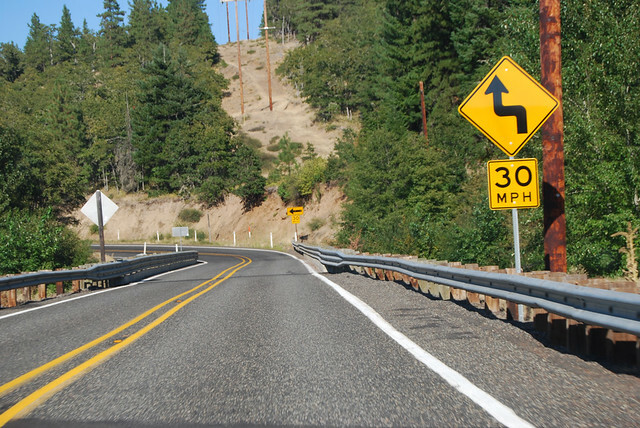 Thankfully WSDOT installed a guardrail a couple years ago. I'm sure this was a harrowing section previously! 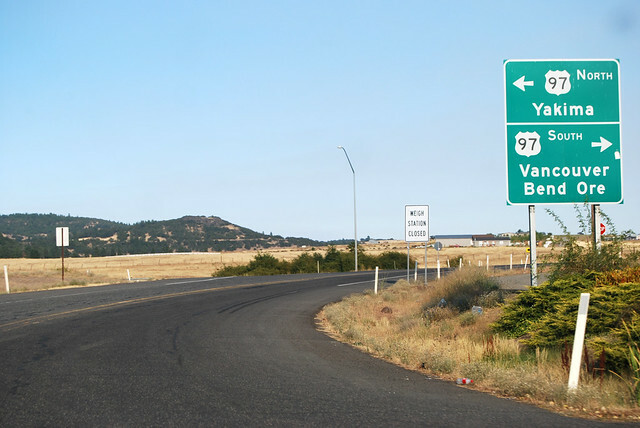 But then the road pops out atop the plateau and we zig-zag through the flat farms, trending eastward to Goldendale. Out the other side of this "Sportsman's Paradise," we arrive at the end of SR 142, at the junction with US 97. Why is it that I enjoy roads that twist and turn through canyons and hills, but find similar twists and turns on flat ground exceedingly annoying?